Publisher 505 Games and developer Kung Fu Factory have released their arcade-style mixed martial arts game Supremacy MMA in North America today for the Xbox 360 and Playstation 3. The fast-paced MMA fighting game allows players to follow individual fighters’ stories as they fight up the ranks. 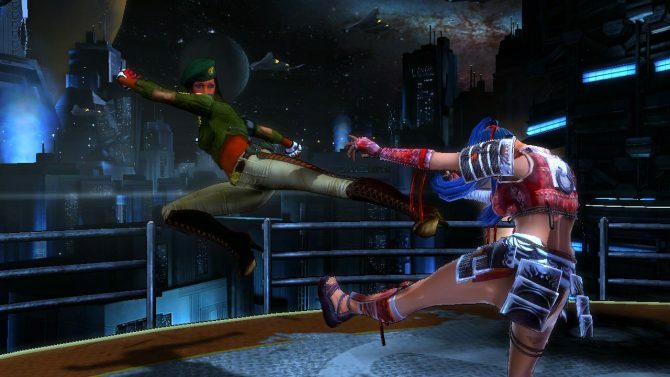 Each character has a unique MMA fighting style that the player must help them master, guiding them through the game’s fighting sequences and pushing them to attain ultimate fighting supremacy. In-game fighters include UFC champion Jens Pulver, K1 kickboxer Jerome Le Banner, and the first female fighters ever included in an MMA game — Felice Herrig and Michele Gutierrez. Supremacy MMA is rated ‘M’ for Mature by the ESRB and will launch in Europe on September 23. Started in the U.S. in 2008, 505 Games globally publishes games for all handheld, mobile and console platforms. Kung Fu Factory, founded by industry veterans Daryl Pitts and Ricci Rukavina, has been assisting in the development of combat titles for two decades.